Can anyone recommend a good quality make for these or is are there other/better options? The timing kit i was looking at is STC4096K but has no mention of a puller included? I have a kit with pins and such to hold/lock things in place so timing is safe, hence the need for a puller just don't want cheap nasty Chinese cheese stuff! You may have to consider too how to undo and especially do up the crank pulley bolt, and you may need a puller for the toothed belt pulley. Cackshifter i have the special locking tool thing for the crank bolt, very similar to Land Rovers one, a few years back a guy on Ebay made and sold them for a fraction of LR price! 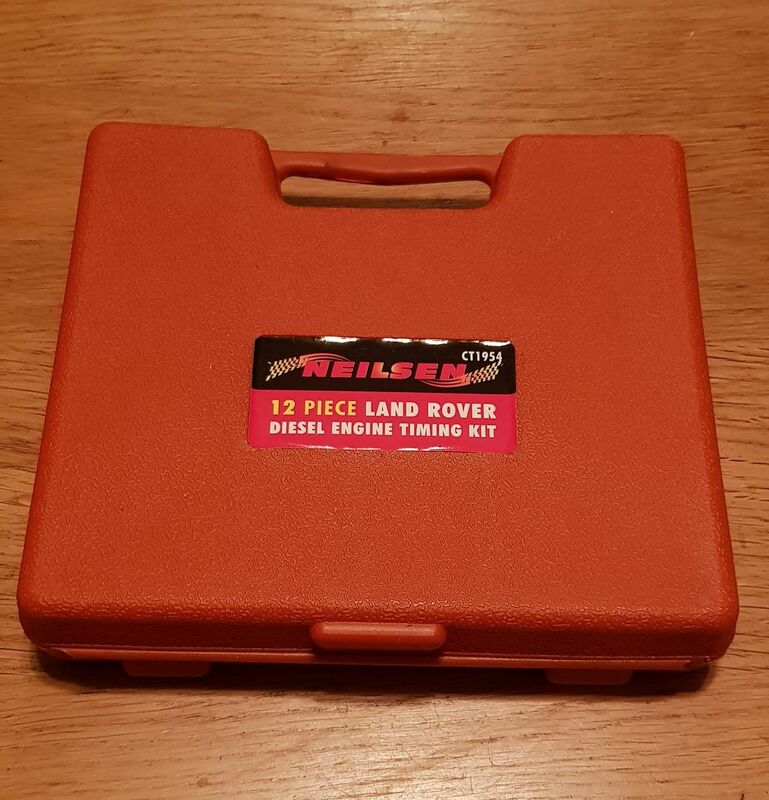 I got x1 it's heavy, solid and well made quality bit of kit i put it down to forward planning, that and don't like the idea of bouncing the breaker bar against the chasis whilst spinning the engine over. Yes that's the correct kit, I have one as well. Your welcome to borrow my puller and big spanner for the bolt. I'm just of the M1 junction 20. If your wanting them posted then you'll probably have to remortgage your house. That looks the dog's Mutley. Thanks for that vulcan bomber, i am off junction 24 M1 so would be quicker cheaper to drive to yours? Will see how i get on with the tools i have and if it goes south might take you up on the offer. cackshifter i have a few specialised tools, not many, that i have obtained over the past few years. Either for anticipation of doing when money allows or for the odd job that's hopefully a one off??? Trouble is i don't always remember what tools and bits i have, like the timing pin and puller kit!?! One of my favourites is the crimping tool for lugs on battery cables, it does the hex crimp at various sizes and works very well! Make all my own now when needed using glued heat shrink, they look very business like and are stong too. Even my local garage man raised an eyebrow and said he might have to borrow it sometime, when i mentioned it to him. You will still need a sturdy pipe (about 1 meter long) to slide over the handle when you turn the bolt 90 degrees after the initial 80Nm. On the same subject, do you use a half-inch drive when tightening the final 90 degrees ? The airgun was about 1/3 of this one..
@Ed poore i have the combi drill with x2 batteries in this so will look at getting just the body of the impact wrench in the near future. Well impressed with the drill so an addition only seems practical!?! 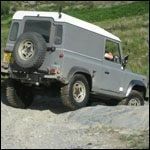 @Mutley that was the first Milwaukee tool I got after getting to experience it in the Lakes with a garage. It wasn't cheap, think at the time (almost 4 years ago now) it was £440 for the kit with 2 5Ah batteries but it's still going strong. The only downside with it is it's a monster of a motor on it which means it doesn't fit into most places! I'm seriously considering a smaller one as I don't always need the 1000ftlbs that one delivers. You do need good fitting sockets though, if you get a perfect fit the motor often has enough torque to not even bother with the hammer action. The little 1/4" driver is also very handy for most stuff, even that "light" one is still capable of 150ftlbs. 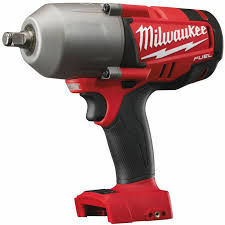 @Ed Poore, I have the smaller 1/2" Milwaukee impact, and rate it very, very highly. I think it is 170lb/ft (at least the model was when I bought it) which is plenty for most everyday stuff. As you say, the bigger ones can just be too big, and 1000lb/ft is monster!